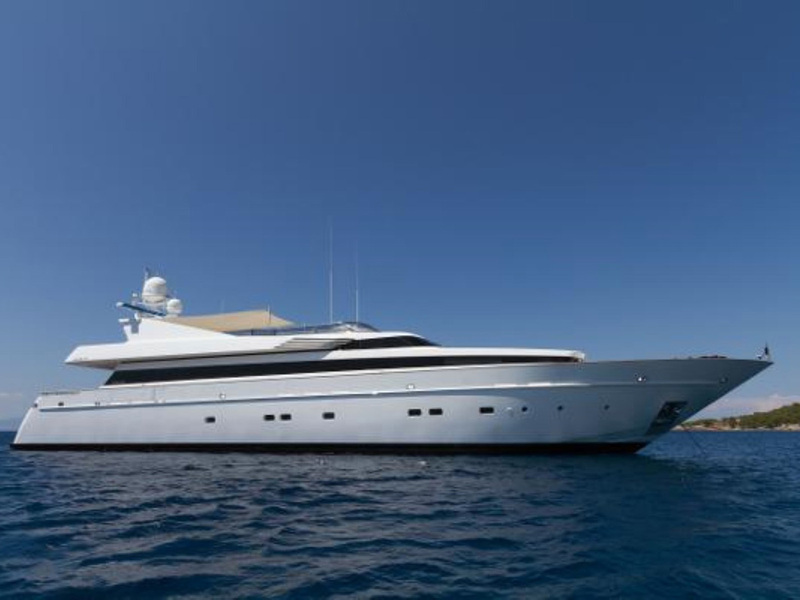 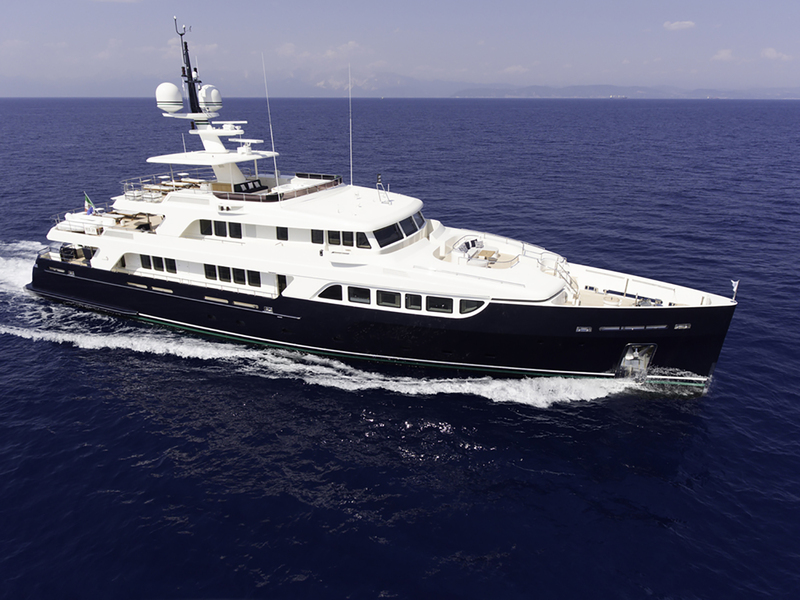 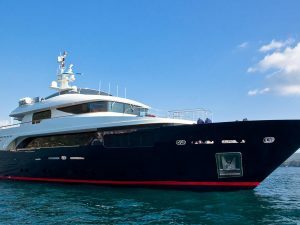 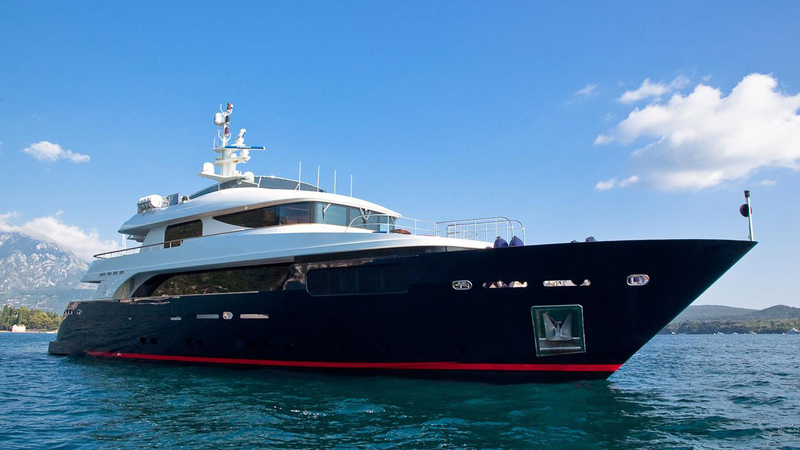 Impressive 38 meters Rodriquez built in 2007 and last refitted in 2016. 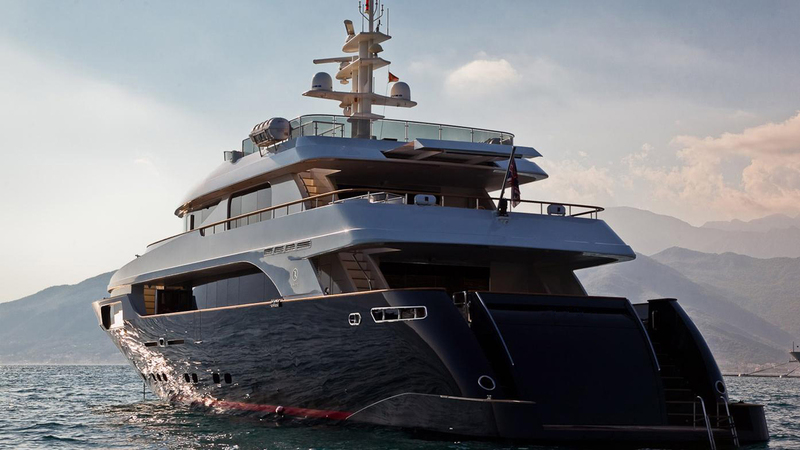 She was designed by Francesco Paszkowski and her interior was from Jennifer Sivitos. 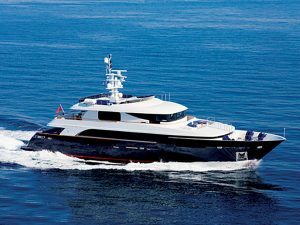 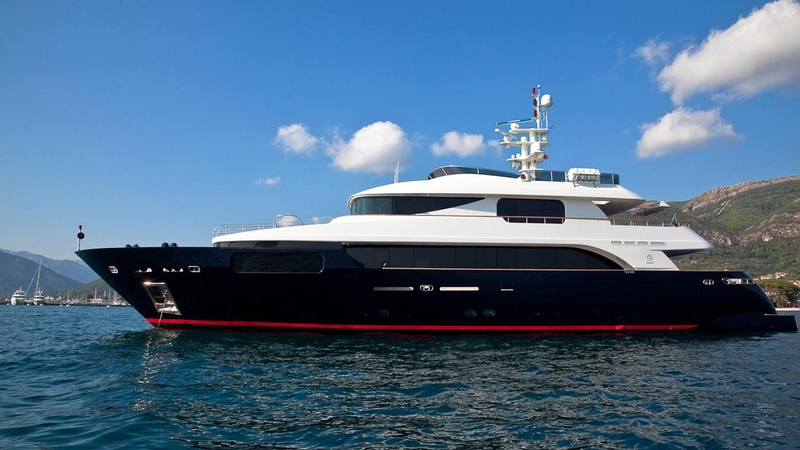 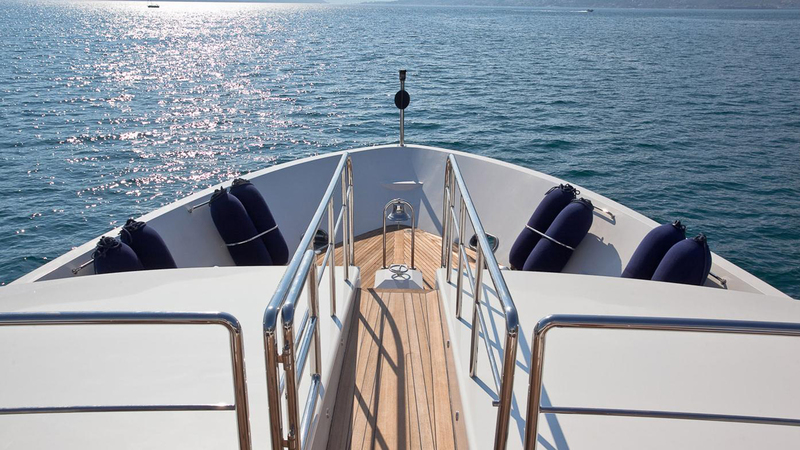 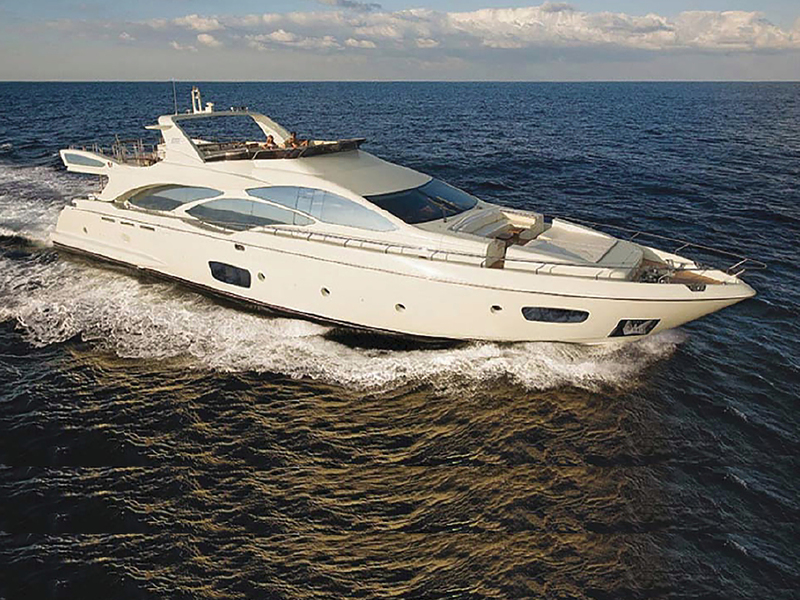 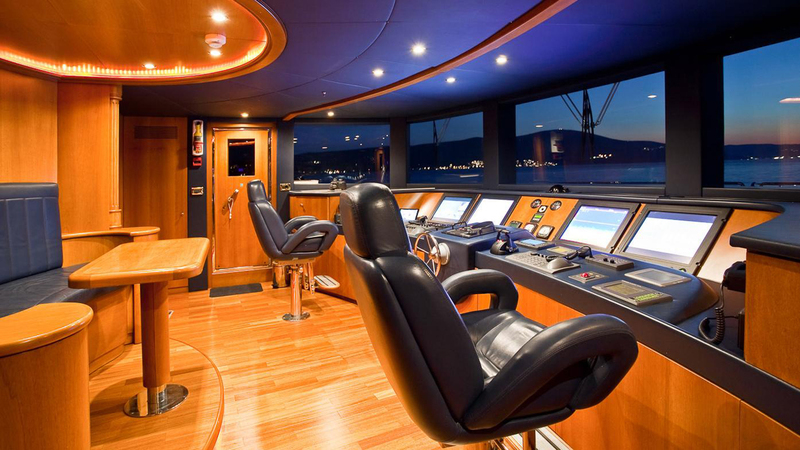 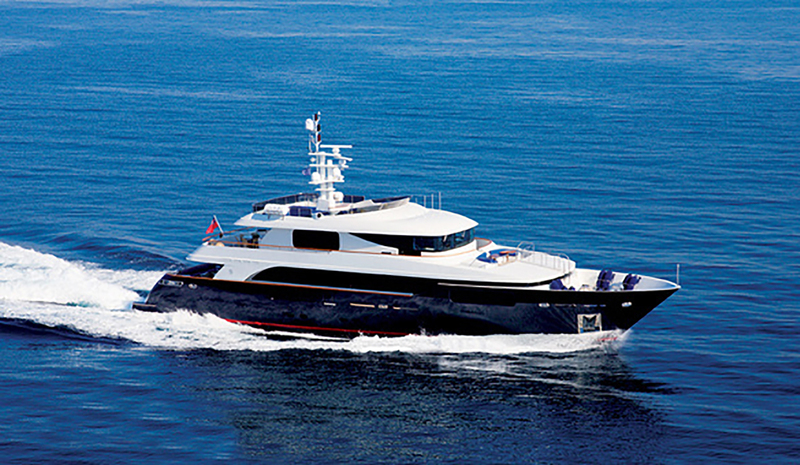 She has an aluminum hull and superstructure and she is equipped with state of the art stabilization system ensuring maximum comfort. 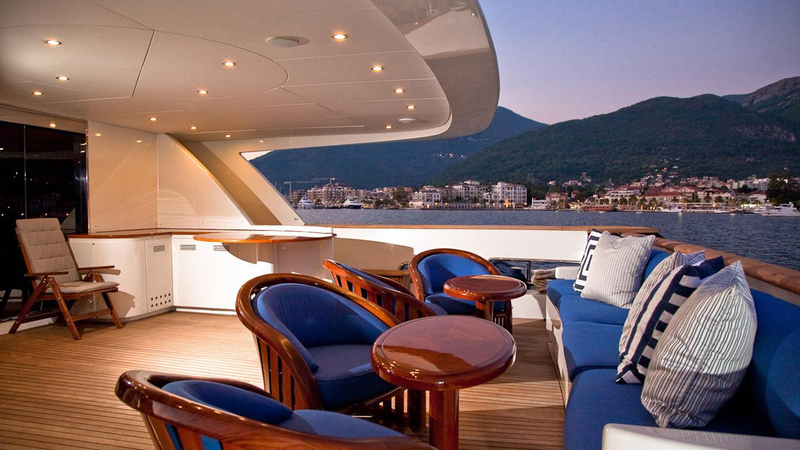 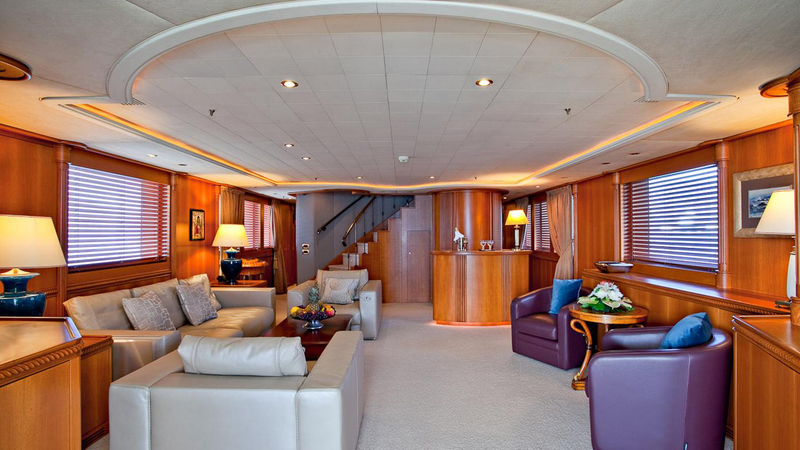 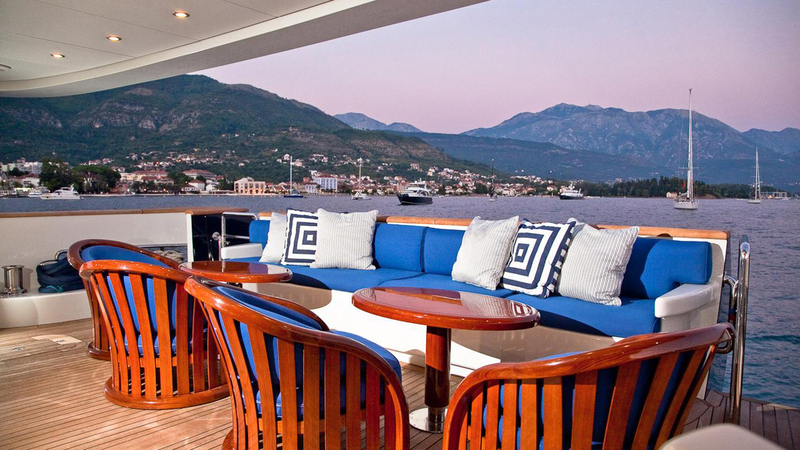 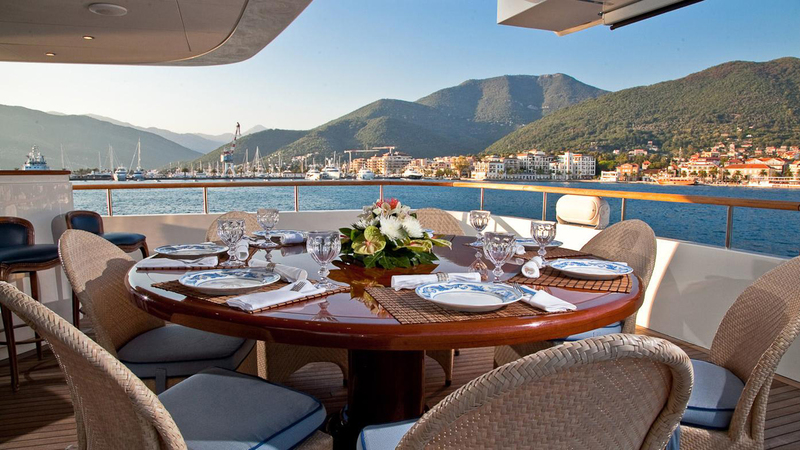 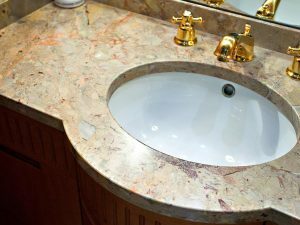 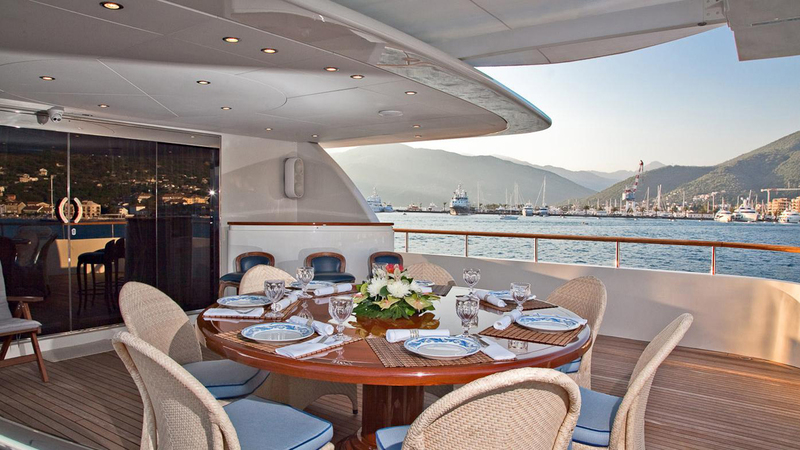 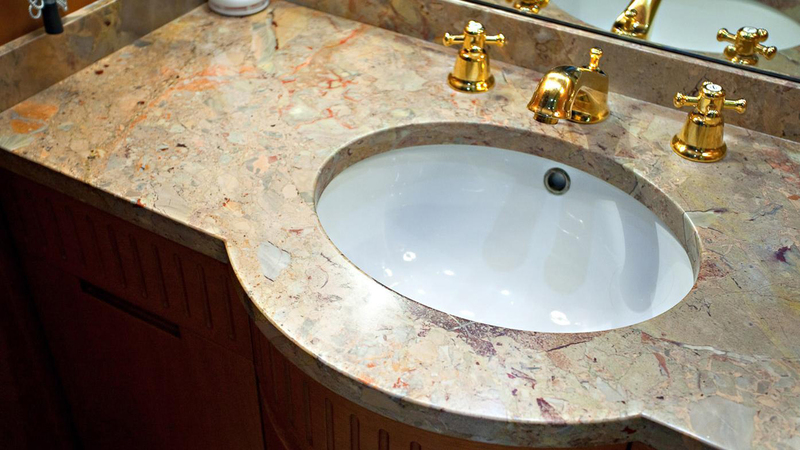 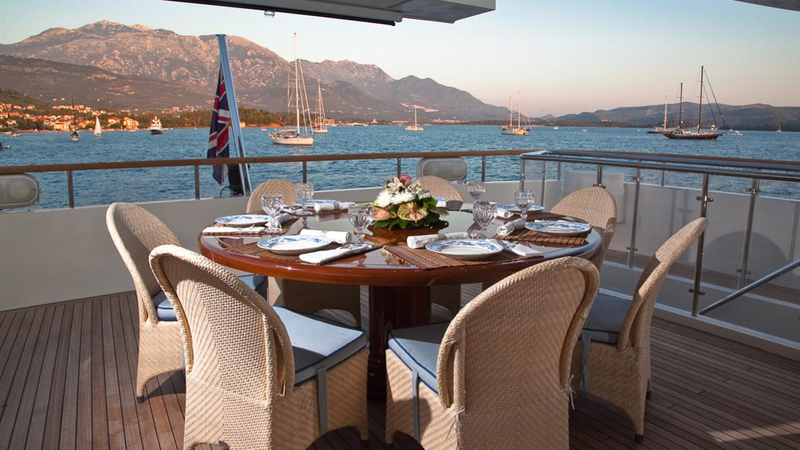 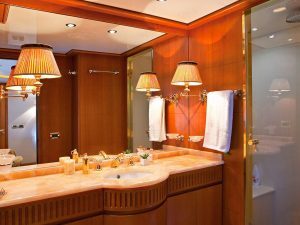 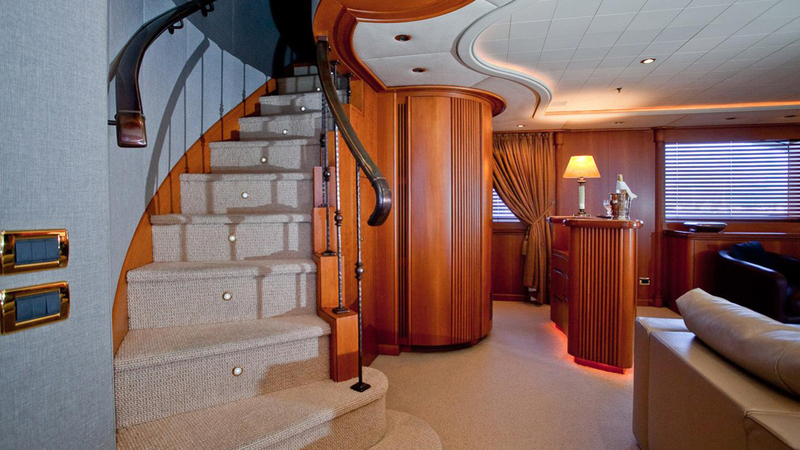 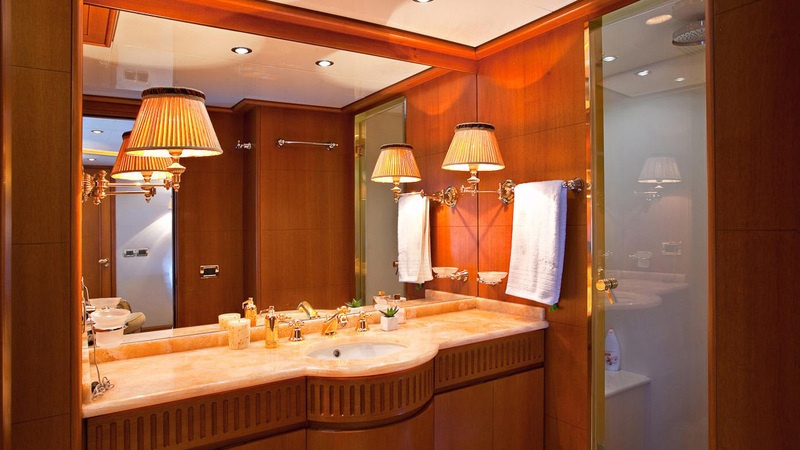 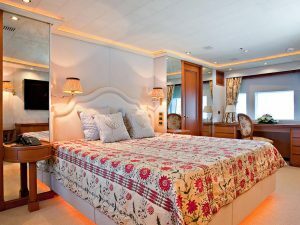 She hosts up to 13 guests in her 5 lavish cabins. 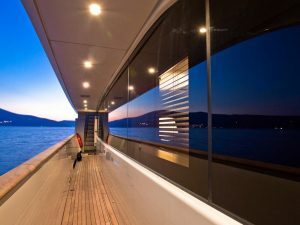 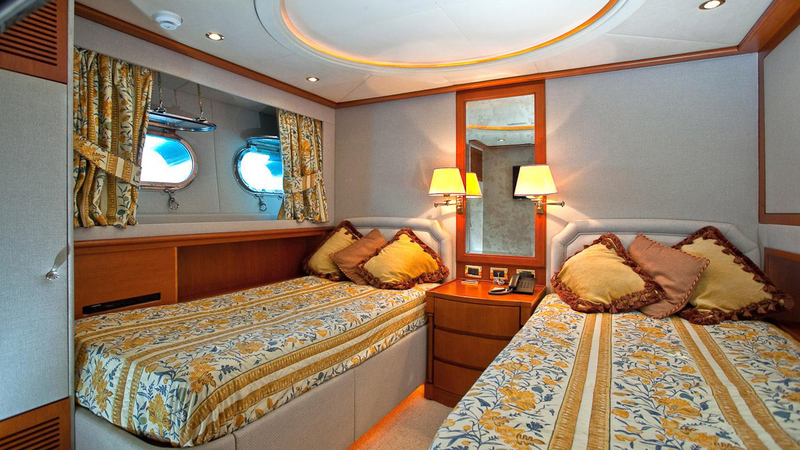 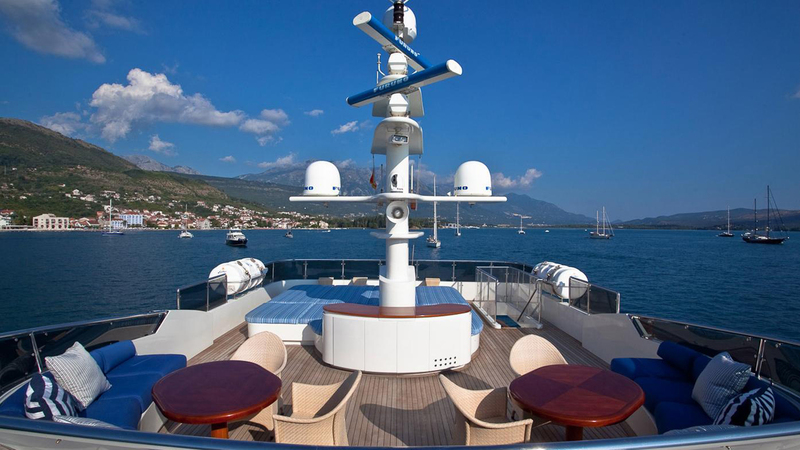 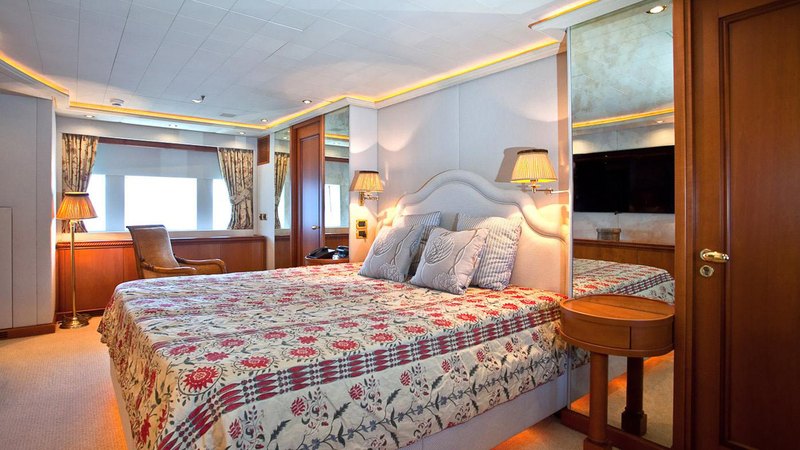 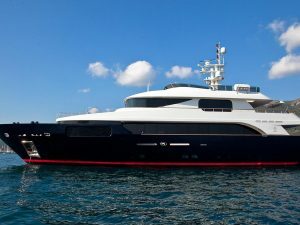 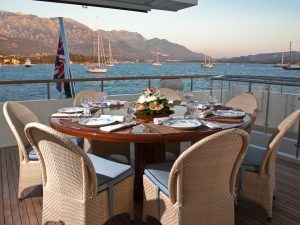 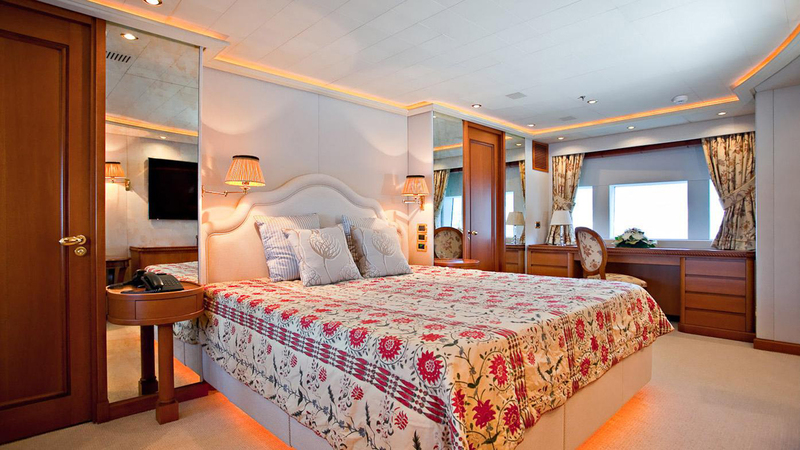 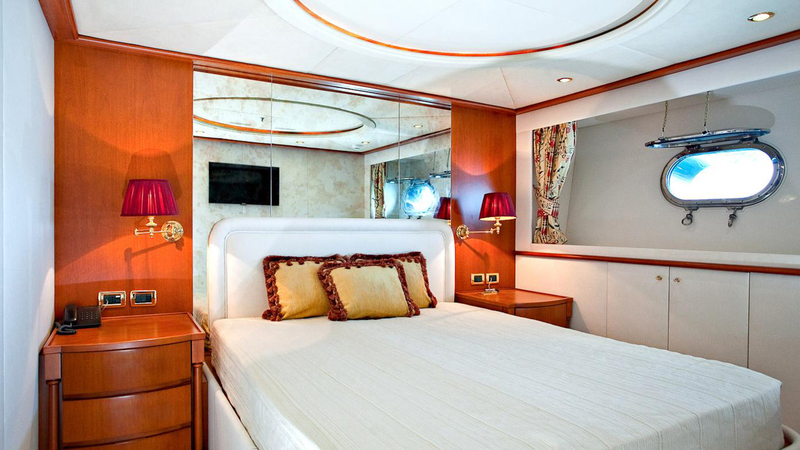 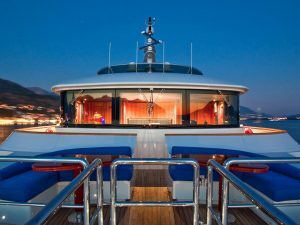 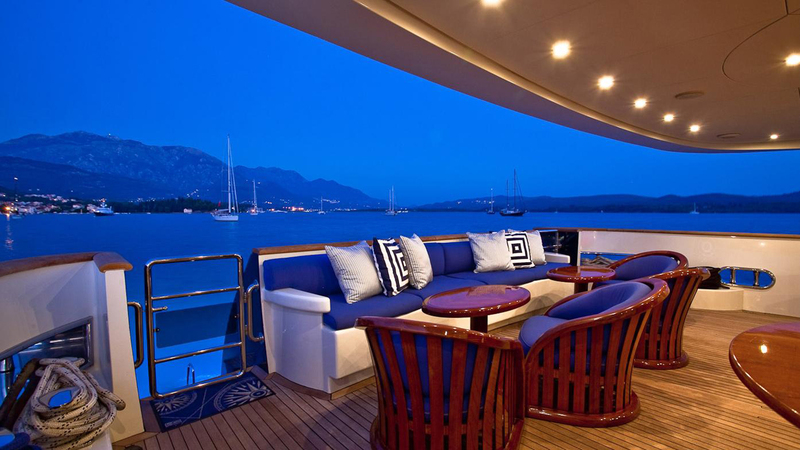 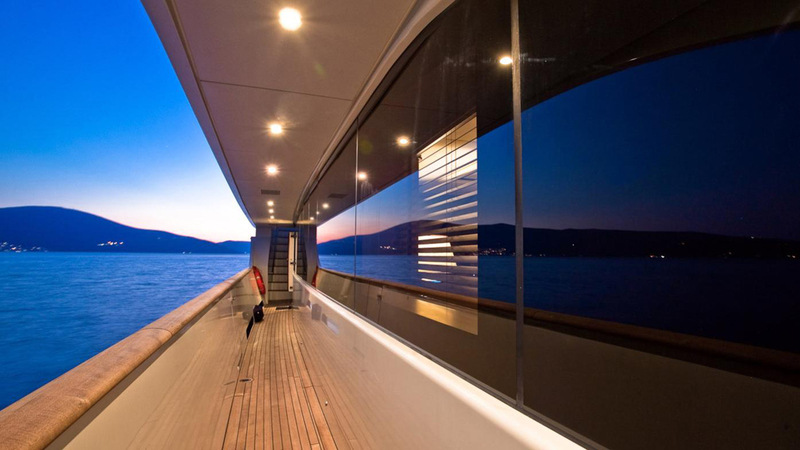 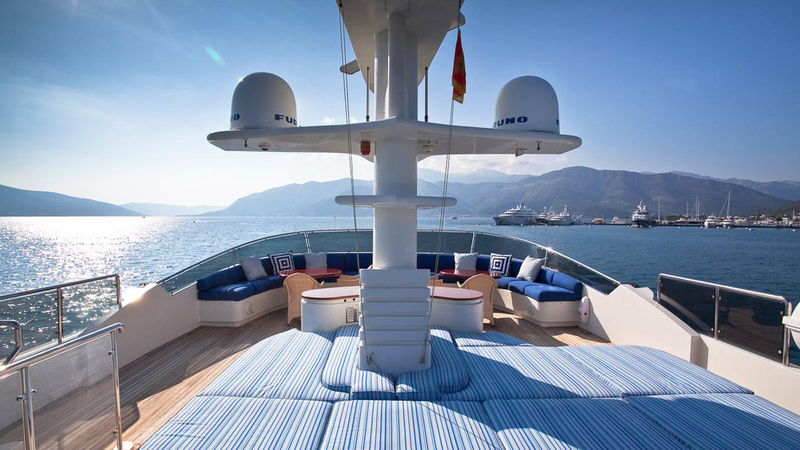 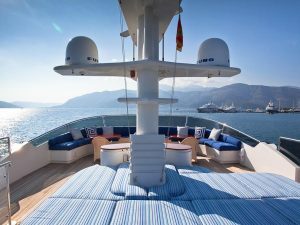 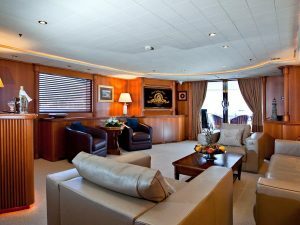 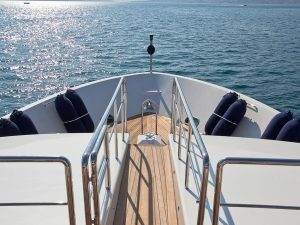 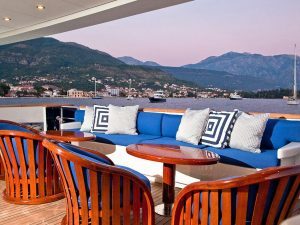 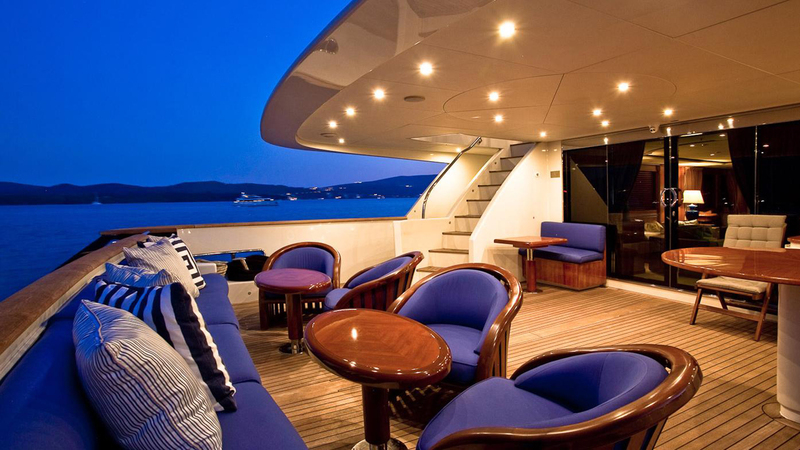 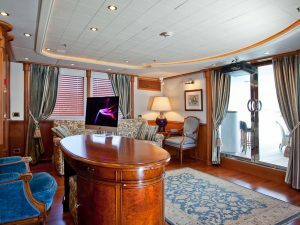 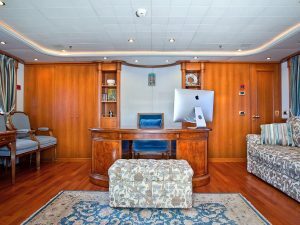 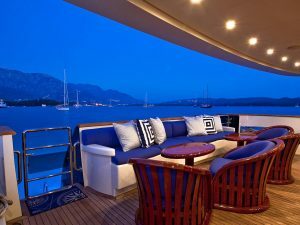 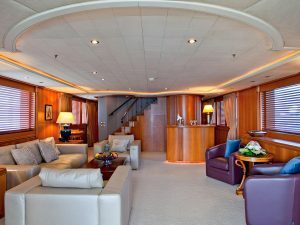 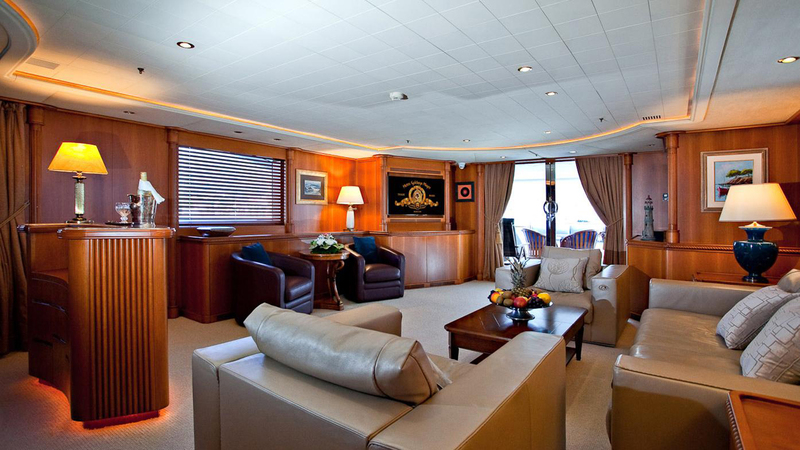 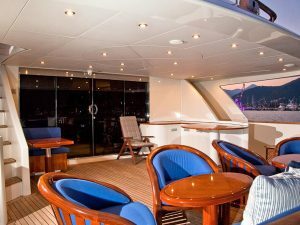 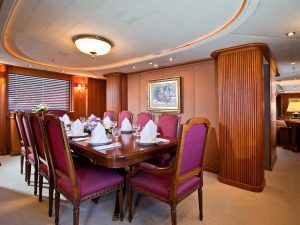 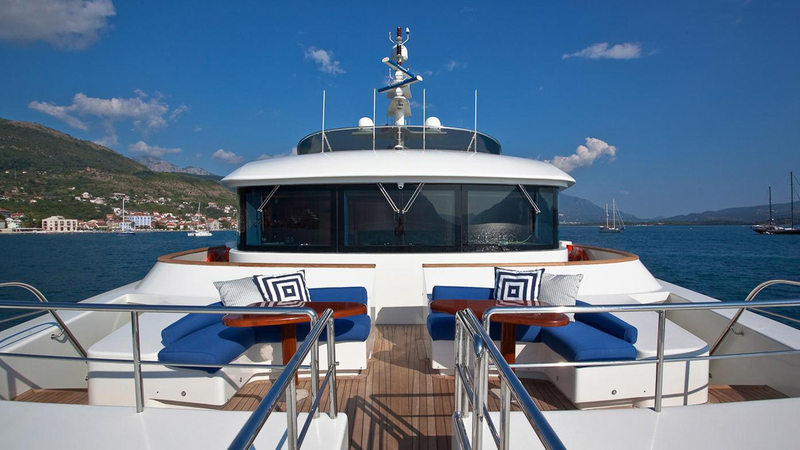 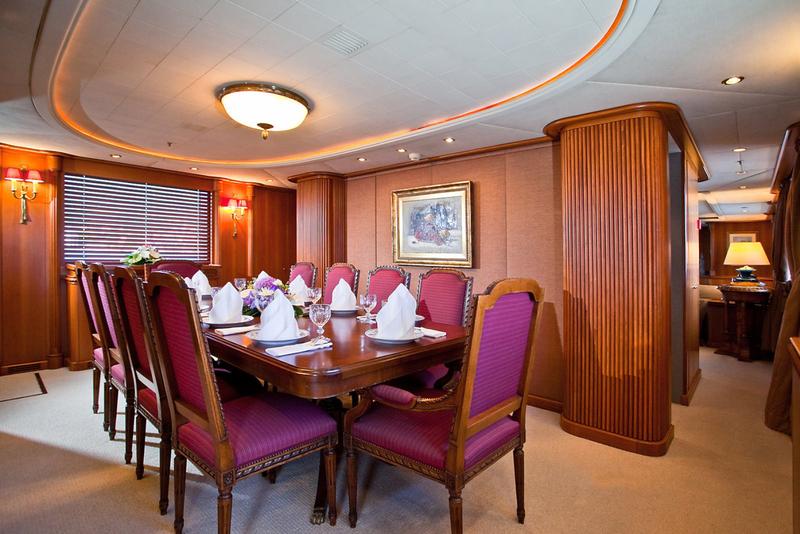 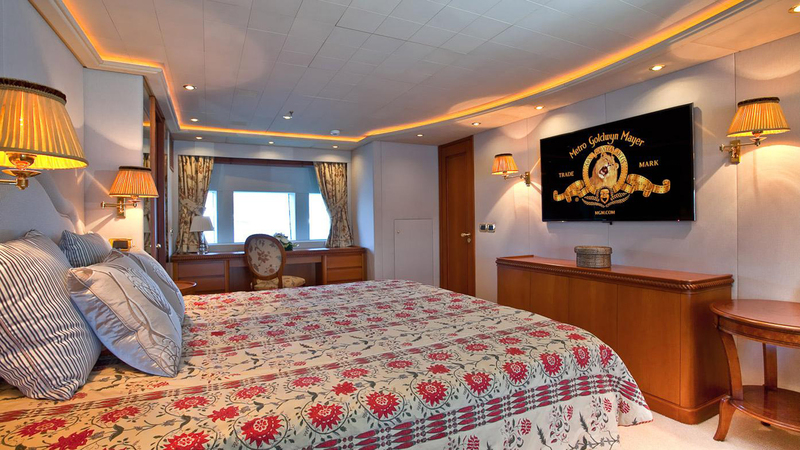 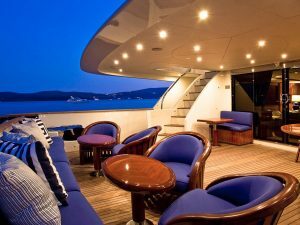 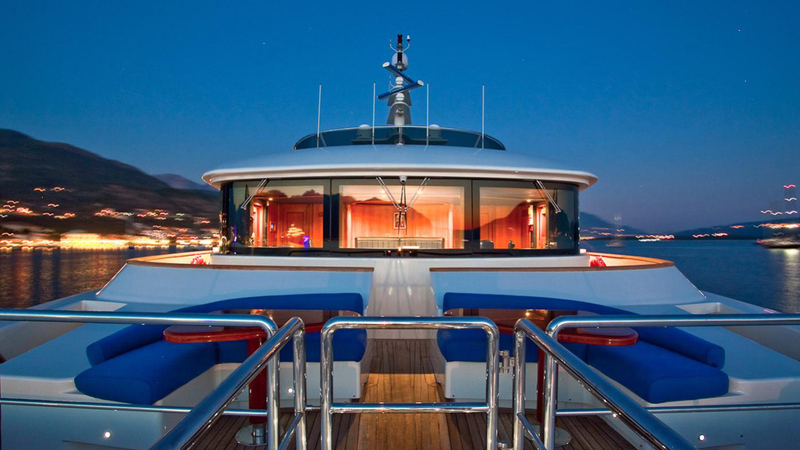 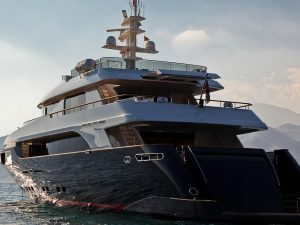 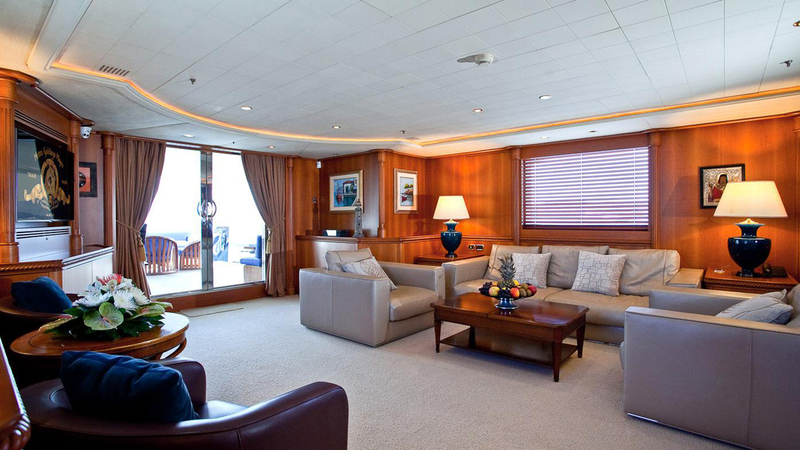 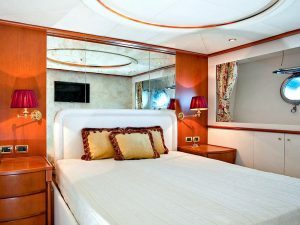 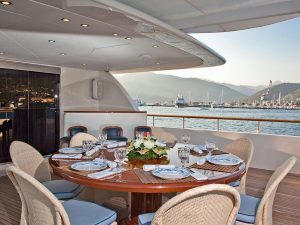 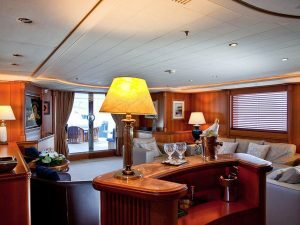 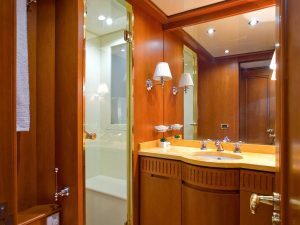 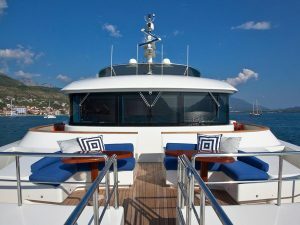 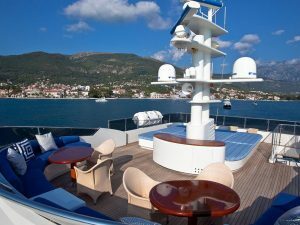 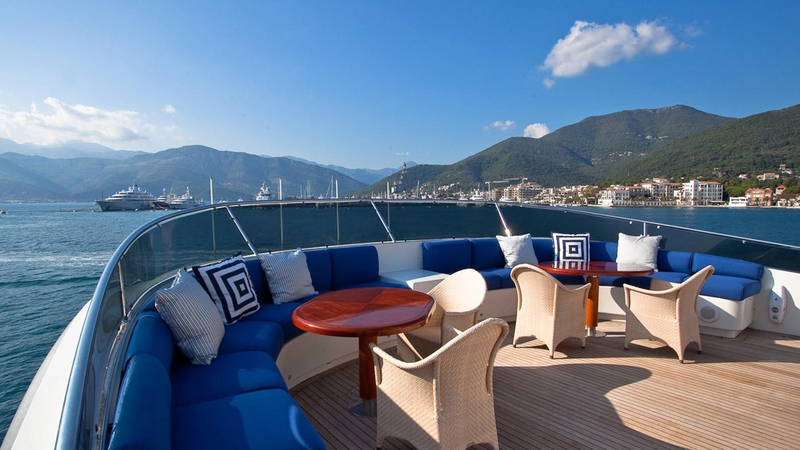 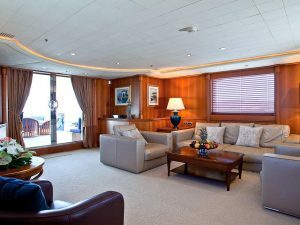 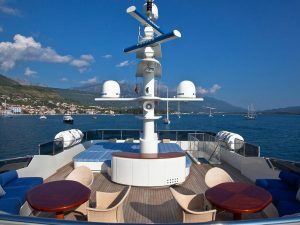 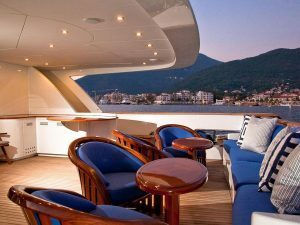 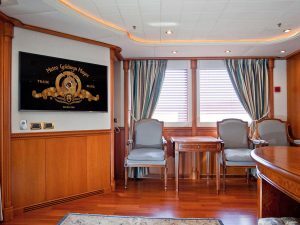 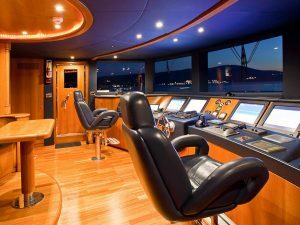 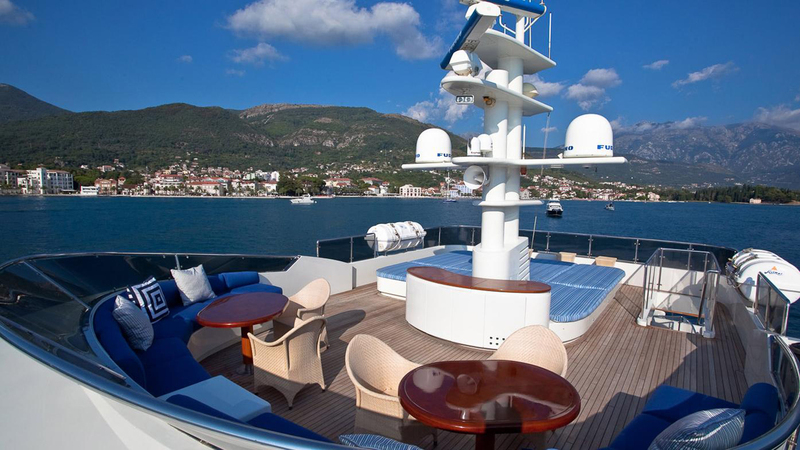 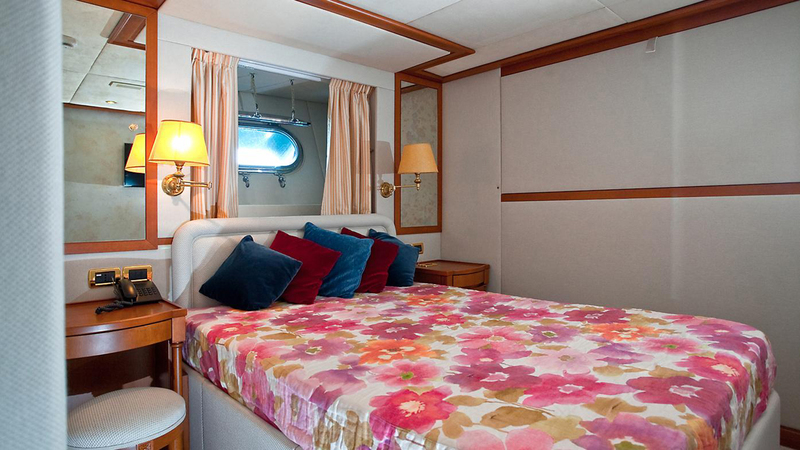 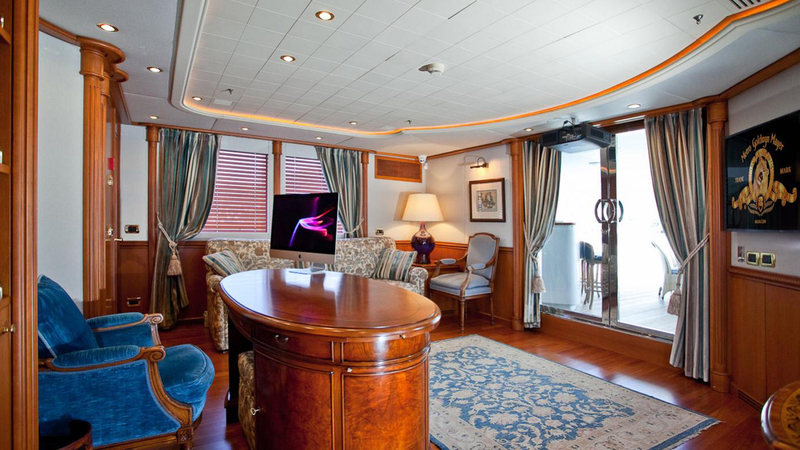 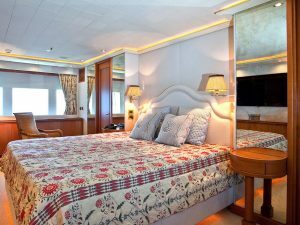 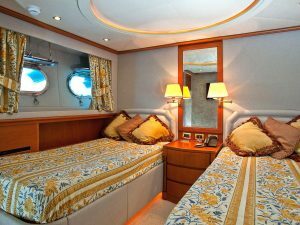 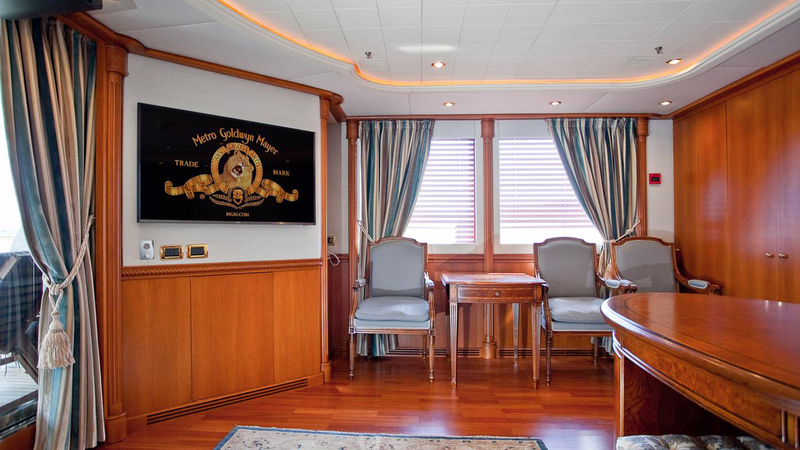 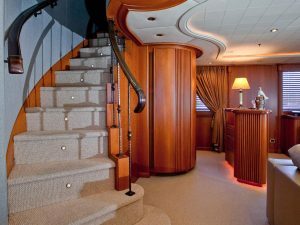 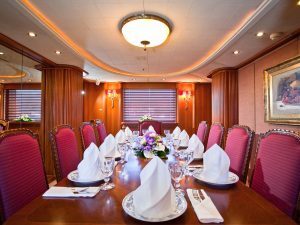 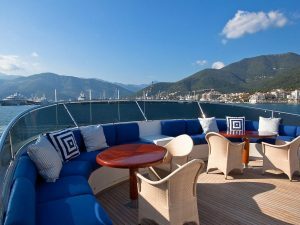 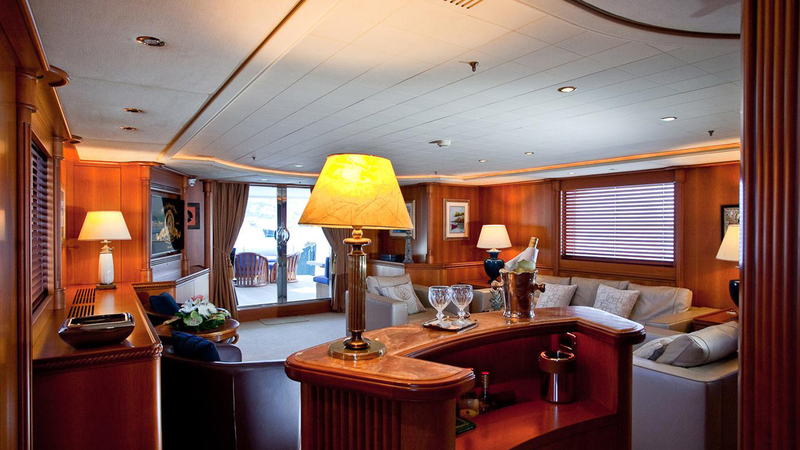 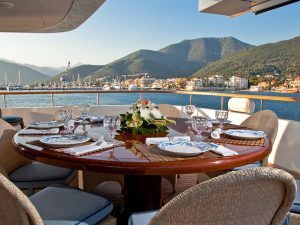 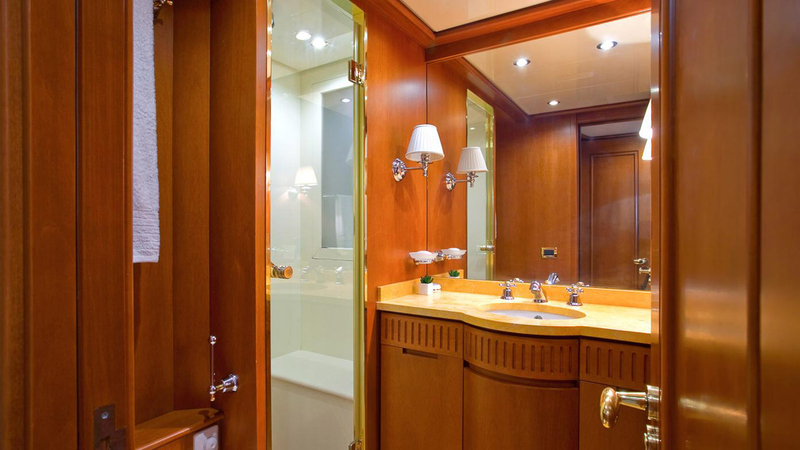 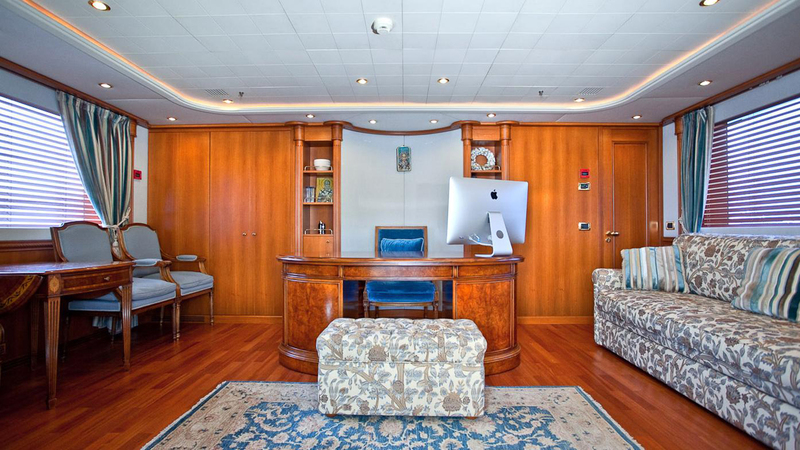 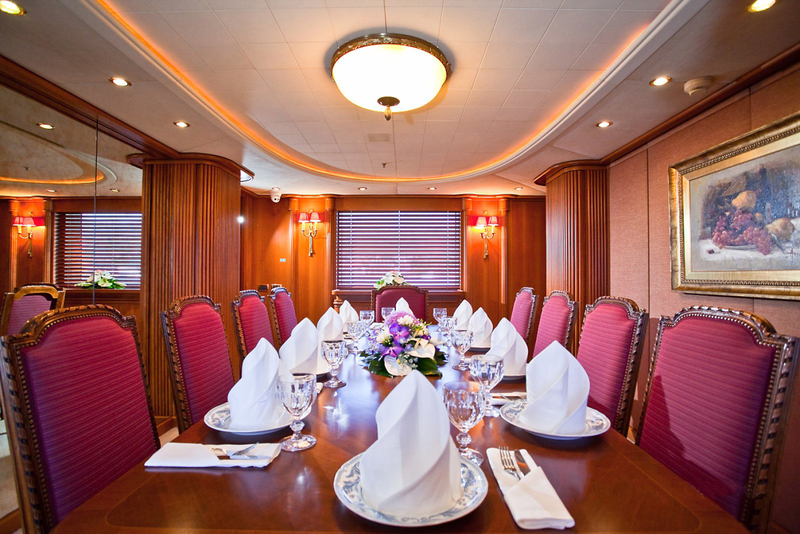 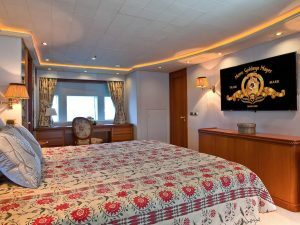 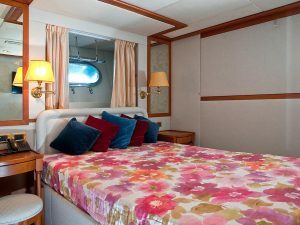 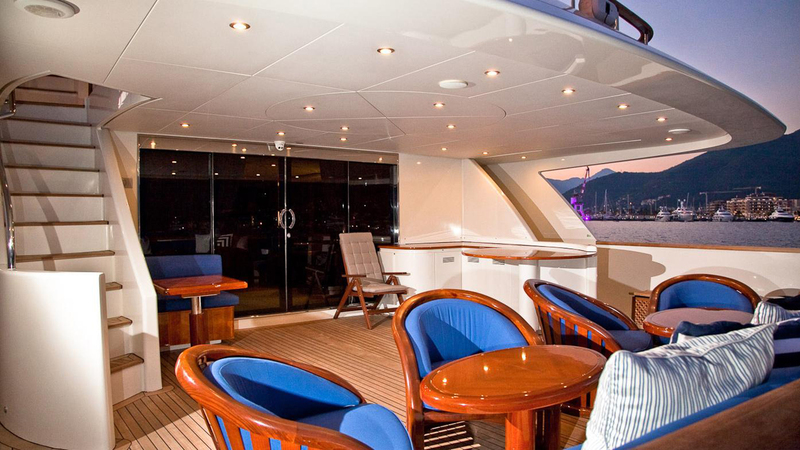 She also offers the option of a sixth cabin – the captain’s cabin can be transformed into a guest cabin – on the upper deck. 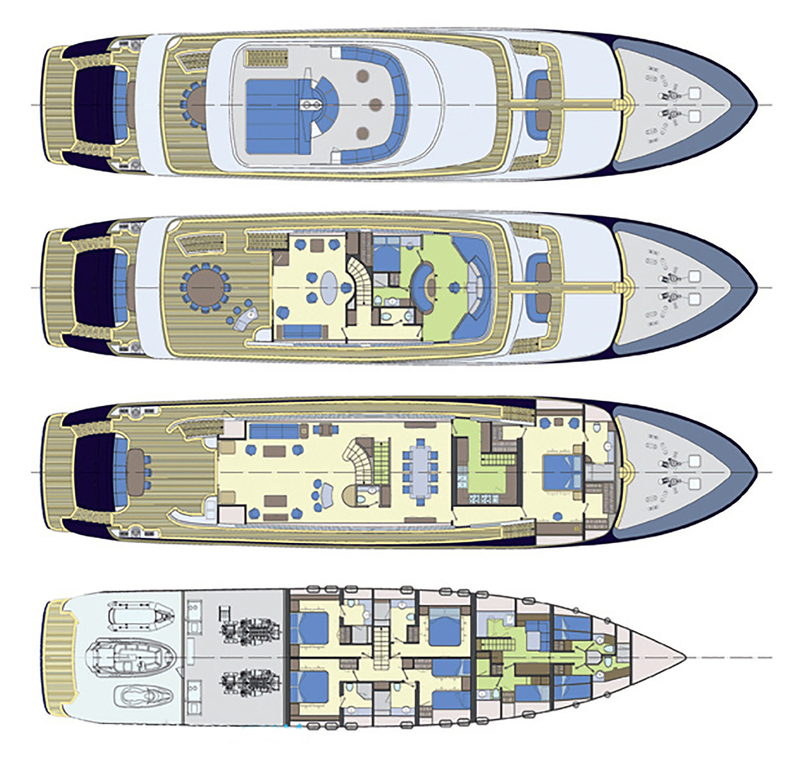 Her 2 Caterpillar engines produce 1825 hp each and allow her to reach a max speed of 17.5 knots.